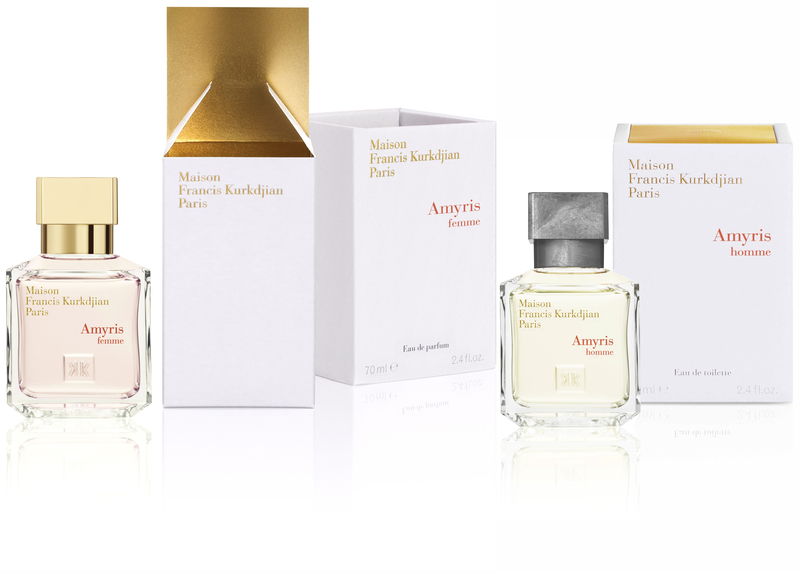 Francis Kurkdjian told Flair last spring : amyris and iris are the two key ingredients to its new fragrant duo, Amyris, which was launched at Nose in Paris last week. His business partner and co-founder of Maison Francis Kurkdjian, Marc Chaya, presented the juices to me as Francis was across the Atlantic closing the fragrances launch tour in the United States. Amyris tree has a yellow pinkish wood, streaked with brown, and its yellow-orange resin, elemi, produces a velvety, citrus, slightly powdery scent when distilled. The one Francis Kurkdjian uses comes from Jamaica, and it is by combining it to the luxurious rhizome of an iris from Florence that he reaches the goal he set for himself: “to express the splendour of a sunset”. Amyris femme is surprising: vibrant, luminous, subtly woody, it comes off as fresh and citrusy as the lemon-tree flower and Californian orange, slightly green. When it makes its entrance a little later, the iris is sublime, majestic, just the right amount of powdery, almost creamy. 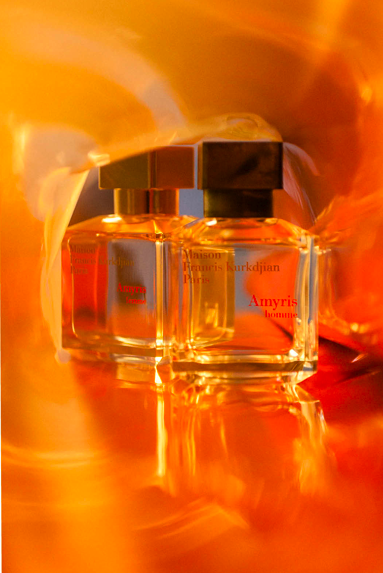 The amyris give the juice its depth and sensuality, on a base of vetiver and musky amber. Airy and elegant. Amyris homme is an astonishing fresh woody fragrance, powerful and delicate at the same time. It opens with the aromatic notes of Moroccan rosemary, the sweetness of tonka bean and the woody, refined yet persistent note of amyris. The latter blends perfectly with the wonderful iris, providing the juice with a real softness. A chocolate note, with hints of coconut, gives it richness and density. Its trail is subtle, only detectable when standing close, which makes it a pleasant exception in the often suffocating landscape of masculine fragrances.